AUGUSTA, Ga. — Beat Tiger Woods once, and you’ve got a story for the ages. Beat him four times in a row? That’s the stuff of legends. Francesco Molinari finished Saturday’s third round at the Masters with a 66, his 13-under score leading the field for the second day in a row. That set him up for a Sunday morning grouping with none other than Woods, the guy whom Molinari has absolutely owned over the last year. In last year’s Open Championship at Carnoustie, Molinari did what only one other player has ever done: catch and pass Woods for the win on a major championship Sunday. He followed that up three months later by pasting Woods on three separate occasions in the Ryder Cup. Teamed with Tommy Fleetwood, Molinari beat Woods no matter whether he was paired with Patrick Reed (3&1, 4&3) or Bryson DeChambeau (5&4). You don’t often punch Tiger Woods in the mouth that many times in a row. It’s a pretty good bet Woods hasn’t forgotten. Even so, Molinari isn’t relying on past victories over Woods as any kind of crutch. Sunday won’t be the first time Woods and Molinari have met at the first tee of Augusta National. 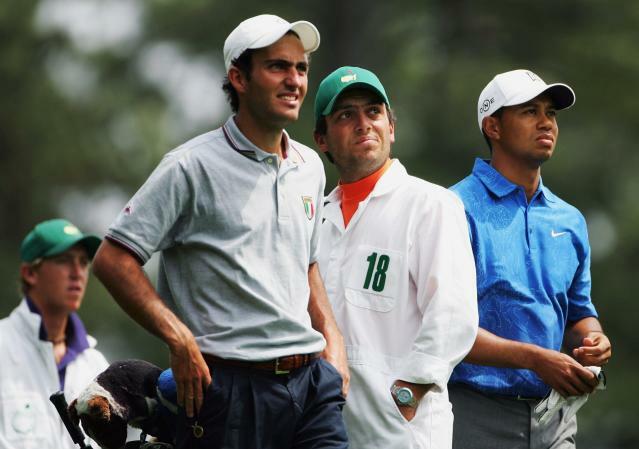 Back in 2006, Woods was coming off his fourth — and, to date, last — Masters win, and Molinari was caddying for his brother Eduardo, at that time an amateur champion. Calling Molinari stoic is underselling it; he makes rocks look jittery. And that’s exactly the kind of demeanor that’s going to serve him well on Sunday, where he’ll be playing a road game against the legions of patrons pulling for Tiger. Easy enough, right? He’s done it before.